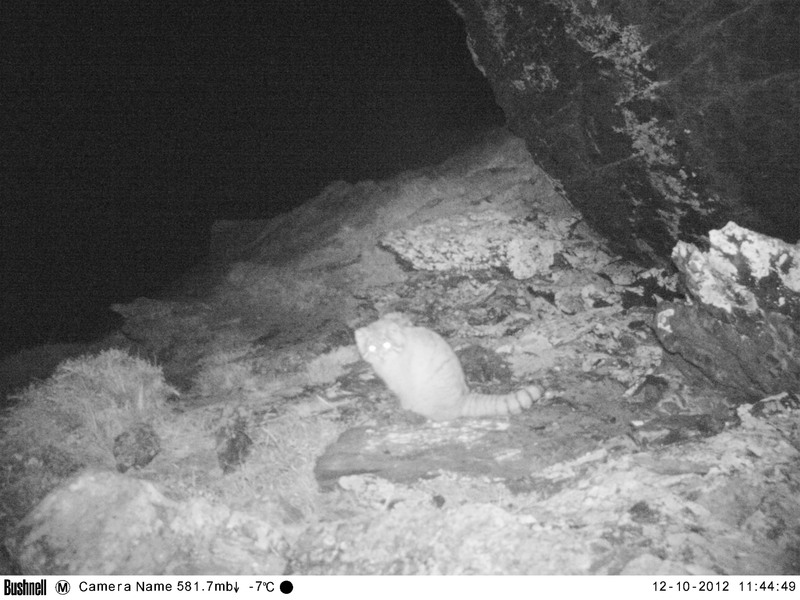 When Snow Leopard Conservancy program coordinator, Bikram Shrestha, discovered the images on camera traps that were set to capture data on snow leopards he was unsure what the strange cat was. With the input of small cat specialists Angie Appel, Jim Sanderson and Professor Karan Shah of Nepal’s Natural History Museum confirmation was made that it was a Pallas’ cat. I had conducted the similar snow leopard environmental awareness camp in Manang in 25-28 September 2013. This time I, along with Sudip Adkikari, Officer In-Charge at NTNC/ACAP, his team, and again, local assistant Tashi R. Ghale, installed 11 camera traps, in Ledar, Yak Kharka, Kerken-Manang, Tilicho, Praken-Manang and Aangumie Lapche to learn more about snow leopard and the strange unknown cat species. 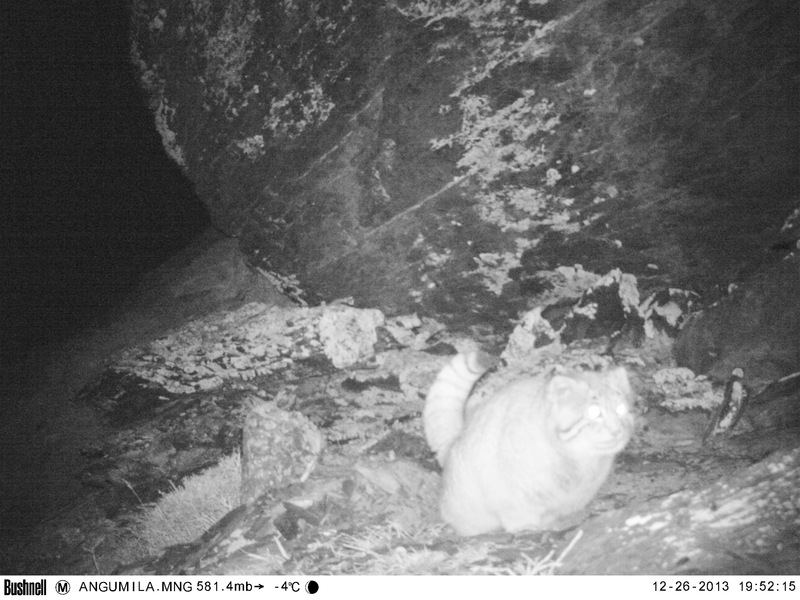 On 29 December 2013, Tashi R. Ghale informed me the camera trap installed at the same place in Aangumie Lapche again captured the strange cat. I was elated to know this news. He sent me six full images and I sent them to experts to identify. The experts of small cat species Jim Sanderson and Angie Appel, and Biologist Prof Karan Shah confirmed it was Pallas’s cat, which is the first record of them in Nepal.